Today I am celebrating my 14th Wedding Anniversary and have used this weeks sketch over at Friday Sketchers top make a card for my husband. Its been pouring with rain here today but we had glorious weather on our wedding day and it went without a hitch. Think this is the 1st card I've ever made for my husband but think he'll appreciate it!. I used 2 backing papers and my nestabilities for the sketch. I coloured a horses head with Copic Markers and glazed with a clear Sakura pen. The wall which is also from the same Woodcare Set was coloured again with copics and have added a few flowers to the wall. The bird is Magnolia and when clearing my craft room a couple of weeks ago, I found my Dymo Letratag so have used this to add the sentiment to the front. Hope your weathers better than ours, even got the heating on! Claire this is lovely, Happy Anniversary. Congrats on winning OCC last week. this is really nice, love that horse! Fab card Claire, hope you and hubby had a lovely anniversary, and I wish you many many more happy years together! Happy Anniversary! Love your cute anniversary card...hope it went down well! Look forward to seeing your Sarah Kay cards! This is a really lovely anniversary card, I am sure your husband will love it. Congratulations on 14th years of marriage, thats quite something in todays climate. We have had continuous rain here today as well, but at least I don't have to go out and water the flowers!! ps. thank you for visiting my blog and leaving a comment, very much appreciated. WoWZa this is soooooooooo cute!! Your coloring skillz rock, Claire!! Oh. And happy anniversary wishes to you and the DH ... many happy returns of the day! This is a beautiful card claire. I love the image. Happy Anniversary Claire! Great card! It's been raining here all day too! First of all, congratulations on your 14th wedding anniversary. Your husband is sure to love this fabulous card and the fact that you took the time to make it just for him. 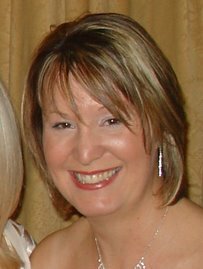 Hi Claire...congratulations on the "fab fourteen years" - here's to another 14 just as great!! Hope you're not subtly telling us that your hubby is an "aul nag" with this horse image heehee (sorry, I couldn't resist!!). You've teamed everything up to create a lovely little scene! Happy Anniversary! Great card. I love all the different elements that come together so well. Wonderful colors. hope you had a great anniversary ~ just love the card!! !~that horse is great!! bet he loved the card!! Happy anniversary - What a gorgeous card - so sweet! Fabulous card Claire, happy Anniversary, hope the weather is better for you today! Gorgous card and so funny!! Congratulations with your Wedding Anniversary... and with your gorgeous card! thankyou for the lovely comment on my stamps I am hoping to release them in a couple of weeks all being well. Lovely card! Thank you for visiting my blog! I love your card, it's brilliant and amazing!! !